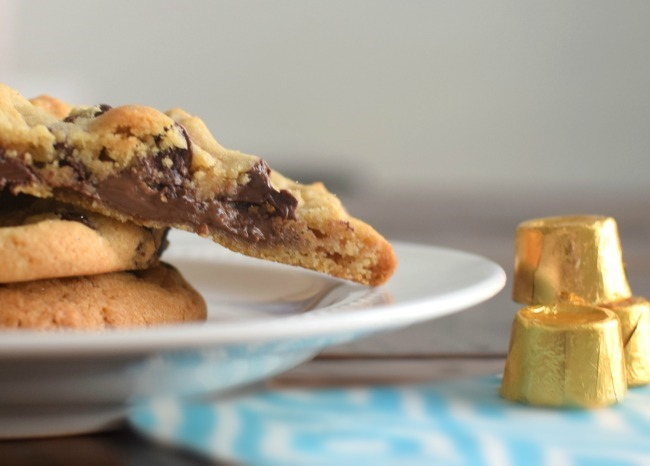 Are you ready to taste the most delicious cookie ever? 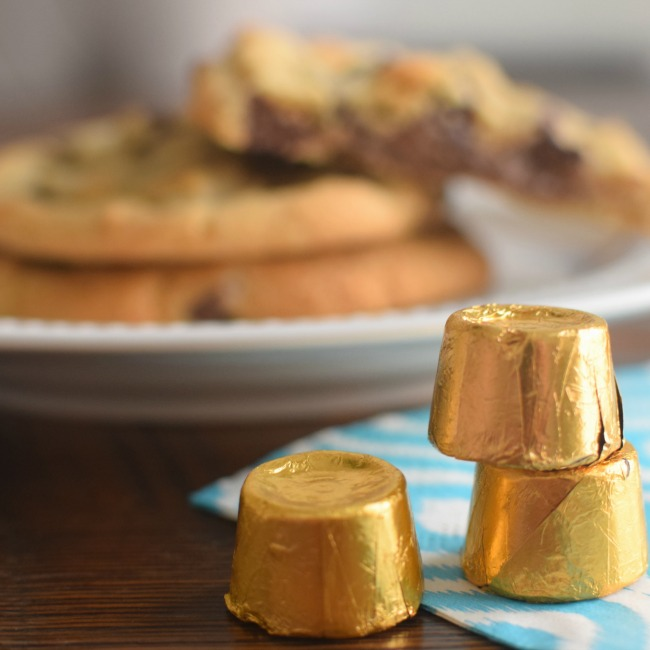 A thick, chewy chocolate chip cookie stuffed with a rolo and then topped with sea salt, yes please! This recipe is really amazing without the candy and salt, but add those two ingredients and it takes it to a whole new level of goodness. Freeze candy for at least 2 hours. Preheat oven to 350. In a large bowl, combine butter, sugars, vanilla, and eggs with an electric mixer on medium speed or stir with a spoon until light and fluffy. Mix in flour, baking soda and salt. Add chocolate chips and combine. Roll about 1 tablespoon of dough into a ball and then flatten and place on pan lined with parchment paper. Place frozen rolo in the center of the flattened dough balls and then add a little dough over the top of the candy to completely cover it. Sprinkle sea salt on top of dough. Place pan back in the freezer for 15 minutes before baking. Remove from freezer and bake for 11-13 minutes or until light brown. Cool and remove from pan and place on cooling rack. 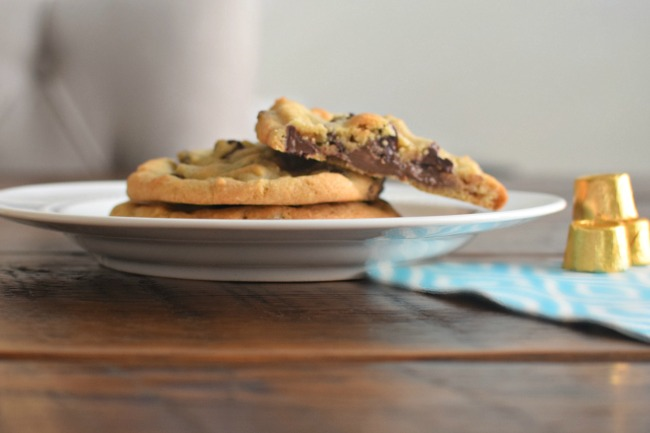 This recipe yields a pretty large batch of cookies, even after I ate several spoonfuls of the dough. But they still didn't last long in our house. Ha! They are so amazing! !